Mondello Park was the venue once again for the second Dunlop Masters Superbike Championship event of the season, as a quality field battled for points in round 4, 5 and 6 of the series. 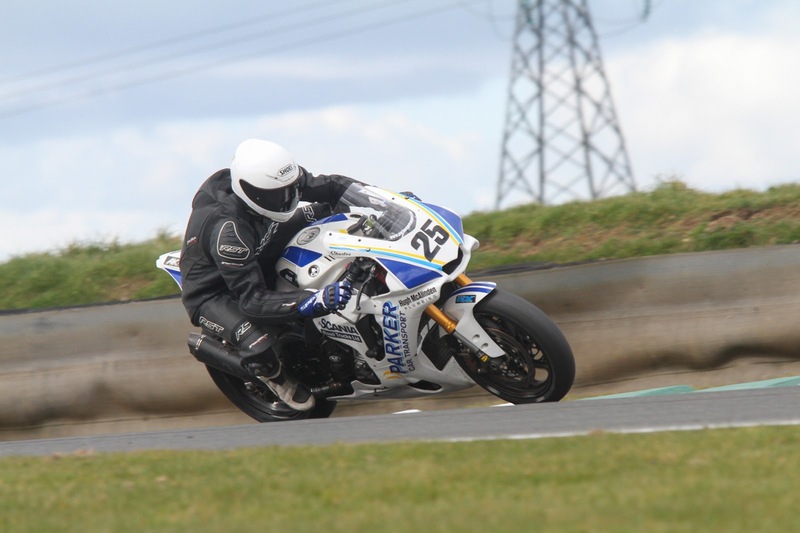 Just as it had at the March season opener, the Superbike class stole the show with three thrilling races which went down to the wire on each occasion. Although the battle at the head of the field was even closer than at the previous event, it was still Charles Stuart and Richie Ryan who shared the wins. Luke Johnston sat on pole for the first race but it was Ryan who took the lead away from the lights. The Yamaha R1 rider held a small but comfortable lead for most of the race but Stuart closed in as the race built to its climax and then pounced on the final lap to take his third win of the year. Ryan was second with Johnston's BMW third. The Cup battle was intense throughout and in the end it was Darragh Trappe on his Kawasaki who held on to take his first ever win, from the R1 Yamaha's of James Rowe and Frank Doherty. Race two once again saw Ryan lead from the start followed by Stuart, Johnston and Moloney with the improving Ed Comerford next up. 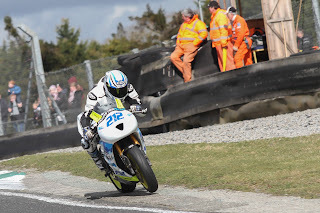 All eyes however were on Brian McCormack who started at the back of the field having missed Saturday's race, as he carved his way through to fifth at the flag. Up ahead of the Tramore man the lead battle lost Luke Johnston to a crash, leaving Stuart closing in on Ryan with Moloney right behind. Once again Stuart made a big last lap effort but was held off by Ryan on the run to the line, as the reigning champion took the win by less than a tenth of a second. James Row led the Cup battle by a huge margin until he fell off in the closing stages, handing a maiden win to Frank Doherty. The final race was again a battle between Stuart, Ryan, Johnston and Moloney with McCormack keeping up until an injury sustained in a previous event began to take its toll. In the closing stages Ryan's gap decreased as he encountered back markers and eventually he made an error and passed one under a yellow flag. The Kilkenny man took the flag first, from Stuart and Moloney, who got the better of Johnston, but he received a penalty after the race, dropping him to fourth. A similar penalty for Johnston dropped him to fifth and left the top three as Stuart, Moloney and McCormack. The Cup battle saw its third different winner of the weekend, and a third rider to taste victory for the first time, as Michael Prendergast took the flag ahead of James Rowe and Chris Campbell. 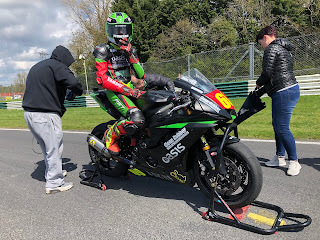 The first Supersport win of the weekend went to Emmett O'Grady as he capitalised on opening lap errors by race leader Caolán Irwin and second placed Dean McMaster to build a huge early lead. The round three winner then maintained the gap to the flag while Irwin took an excellent second on his Superstock machine with McMaster third. Eoin Collins took the Cup spoils. Race two saw McMaster back on top as he took his third win of the year from Irwin and O'Grady, who recovered well from a bad start. O'Grady then exited the final race in a big crash at turn three, leaving McMaster to win from Irwin once again, with championship debutant Dave Butler third. Eoin Collins backed up his race one win with two more to close the gap to Cup leader Keelim Ryan. Ian Prendergast and Kevin Madigan finished first and second in all three Principal Insurance Pre-Injection races with Predergast's three wins moving him into the joint lead of the championship with Madigan. Enda Delaney, Sean O'Toole and Ivan Oxley each took a turn on the third step of the podium. 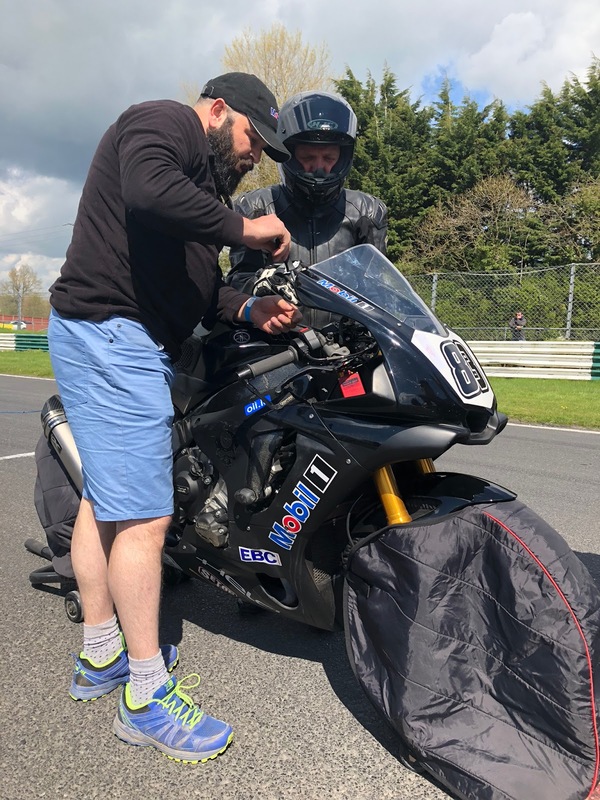 Up next for the Dunlop Masters Superbike Championship is a first appearance of 2018 on the Mondello Park International Track on the weekend of May 26th & 27th.